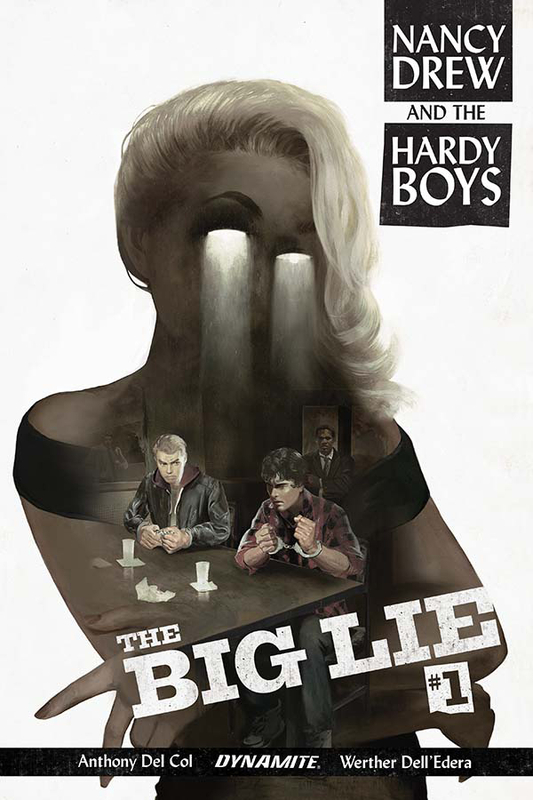 THE BIG LIE is a Nancy Drew and Hardy Boys mystery unlike any other you've ever read... When the teenage brothers Frank and Joe Hardy are accused of the murder of their father - a detective in the small resort town of Bayport - they must team up with the femme fatale Nancy Drew to prove their innocence (and find the real guilty party in the process) in a twisting, hard-boiled tale, complete with double-crosses, deceit and dames. Inspired by new crime classics like Ed Brubaker's Fatale and Darwyn Cooke's Parker series, writer Anthony Del Col (Assassin's Creed, Kill Shakespeare) and artist Werther Dell'Edera (Batman: Detective Comics, House of Mystery) bring the iconic teen detectives into the modern age, and redefine noir for a new generation of readers!